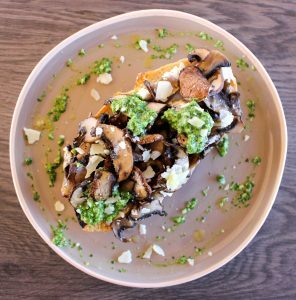 This dish is easy to assemble once you have your pesto to hand and can be made in advance making it a great option for a starter if you’re entertaining. You could use sliced baguette if you wanted to make canapé sized bruschetta and If you don’t have a griddle pan you can use a toaster or a grill to toast the bread. Dry frying the mushrooms intensifies their flavour so they won’t need more than a pinch of salt. Thinly slice the mushrooms then take a frying pan and set the heat to a medium/high setting. Add the mushrooms and a pinch of salt and dry fry (do not add oil) until completely wilted and softened. If there are too many mushrooms in the pan they will sweat, releasing their juices. If this happens, keep stirring the mushrooms and increase the heat until the liquor has evaporated. Once the mushrooms are cooked, set them aside on a plate. Using a griddle pan, grill the bread on both sides then divide the ricotta between the four slices of bread, spreading it evenly. 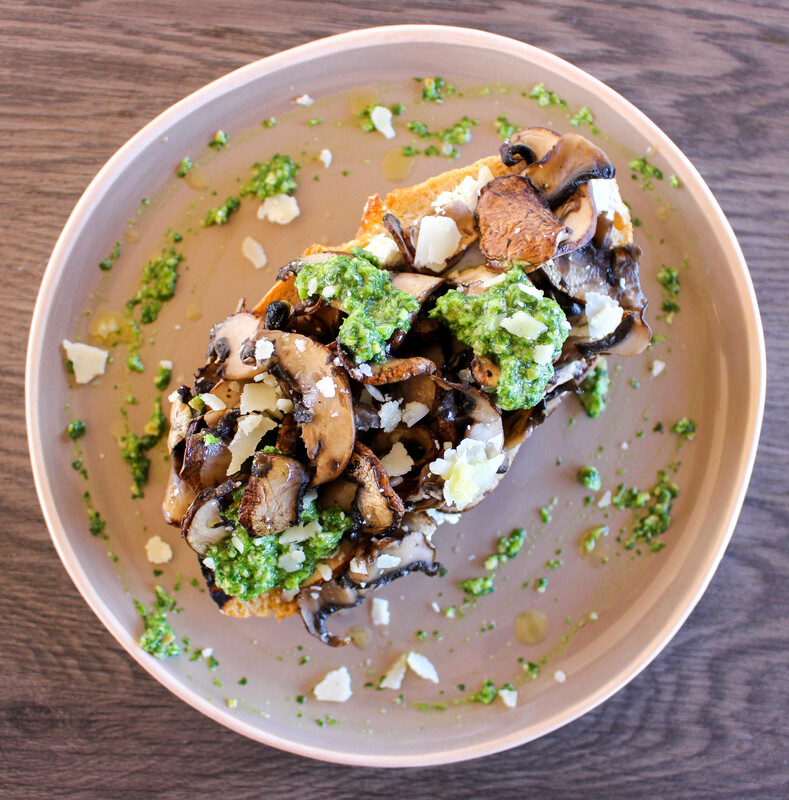 Top with mushrooms, watercress pesto and some shaved Parmesan. Add a glug of olive oil to dress the bruschetta and serve.